a weeklong visit to Google’s quantum computing group in LA. While we mourned tragedies—multiple members of the quantum computing community lost loved ones in recent weeks — it was great to be among so many friends, and great to talk and think for once about actual progress that’s happening in the world, as opposed to people saying mean things on Twitter. Skipping over its plans to build a 49-qubit chip, Google is now going straight for 72 qubits. And we now have some viable things that one can do, or try to do, with such a chip, beyond simply proving quantum supremacy — I’ll say more about that in subsequent posts. When you are overdue on a high-profile project, the last thing you want to admit is that your goal is unrealizable. No, a better strategy is to (1) say that you are attending funerals of family members, and (2) raise the stakes, and say that a higher goal can be achieved instead if only managed supplies more time, staff, and money. Am I being too cynical here? Okay, maybe. Google and IBM both bragged that they would achieve quantum supremacy in 2017. They said that 50 qubits was the magic threshold. 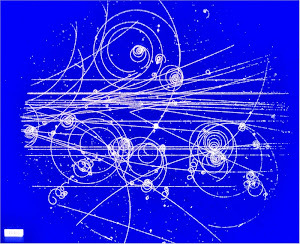 They they dropped back to 49 qubits, a number that seems carefully chosen to allow them to claim the first real quantum computer, but such that they would not have to show the performance that we expect from quantum supremacy. 2017 ended with no new 49-qubit quantum computer, no quantum supremacy, and no explanation for the failed promises. Okay, maybe they really did have some funerals to attend. Maybe quantum supremacy is really just around the corner. I don't believe it. They are stringing along with empty promises, as this community has done for 20 years. I will be watching for any proof that I am wrong. I will post it as soon as it is announced. Then you can all laugh at me. But if there is still no quantum supremacy in 5 or 10 years, what will you say then? Science progresses one funeral at a time, as some smart guy said. So we finally have measurable progress in quantum computing! 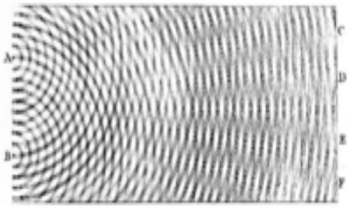 These D-Waves can't see that it's just waves (*cough* field theory) and fashion waves to go with them.